The Swedish pulp and paper industry accounts for half of industrial final energy use in Sweden and 2.3 % in EU-27. On the basis of a disaggregated set of physical production data, a Logarithmic Mean Divisia Index decomposition method is applied to disentangle the influence from activity, structure and energy efficiency improvement (EEI) on its fuel, electricity and primary energy use. An extended analysis tracks the fossil energy use and carbon dioxide (CO2) emissions to discern past and present developments of industrial decarbonisation. In 1984–2011, the total production output increased by 49 %, whereas growth in primary energy use was limited to 26 %. Compared with an activity-based scenario, 50 PJ of primary energy use has been avoided through EEI and 6 PJ through structural change. The production has become oriented towards more electricity-intensive but less fuel-intensive segments. The electricity use EEI was negligible until year 2000 but sizeable thereafter as it started to outpace the counteracting impact from structural change. 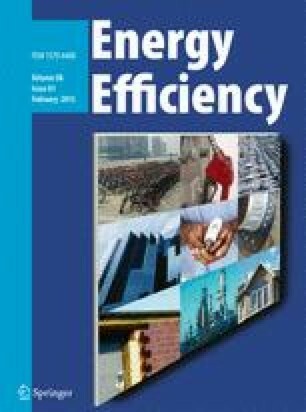 Results are consistent with previous bottom-up evaluations, and the policy context is further elaborated in a discussion about the role of relevant energy and climate policies in facilitating the enhanced EEI observed over the last decade. This work has been funded by the Swedish Energy Agency’s research programme General Energy Systems Studies (AES).